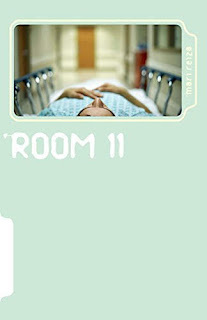 After an accident leaves his wife in a coma, he sits on a hospital chair day-in day-out singing to her. Nobody can pull him away from her as she threads through the rage that could save her. Meanwhile, a desperate nurse grows her admiration for him into obsessive desire. He couldn’t learn to do her toes in a hundred years, and surely hopes he won’t have that long, so he gets someone else to come in once a week who also does her wax every three weeks. That’s how my patient’s heels are soft like a baby’s, unlike mine, which are cracked and tired of my body being on my feet all day. Her legs are smooth like silk, whilst sleeping next to me must feel like lying in bed with a horse brush. 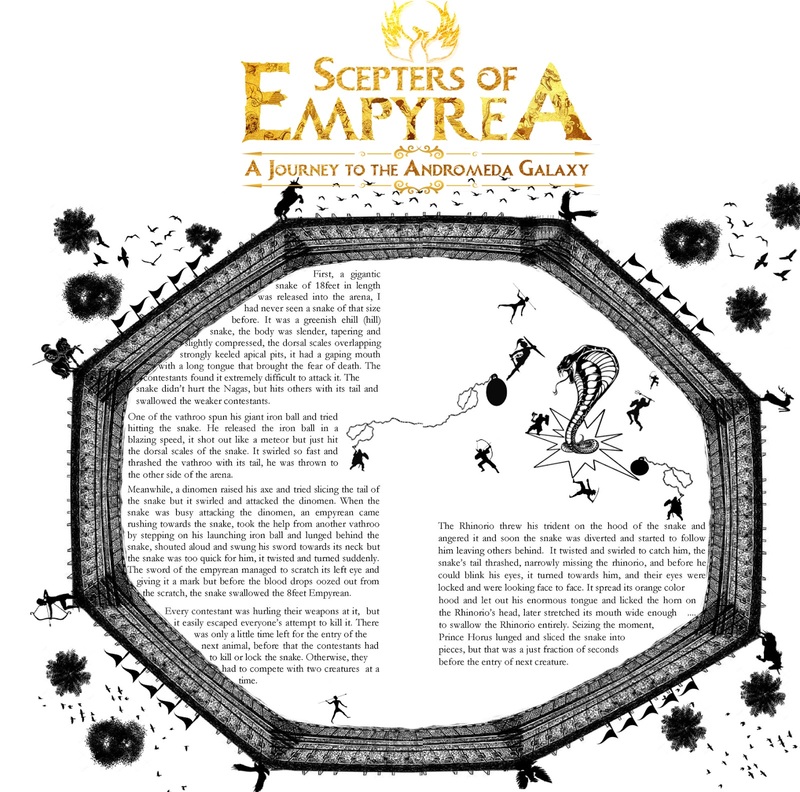 Vignesh Ravichandran is the author of the book Scepters Of Empyrea: A Journey to the Andromeda Galaxy. He did his Masters in Business Administration from a leading Business School and presently working as a Human Resource professional in a leading software organization in Chennai. 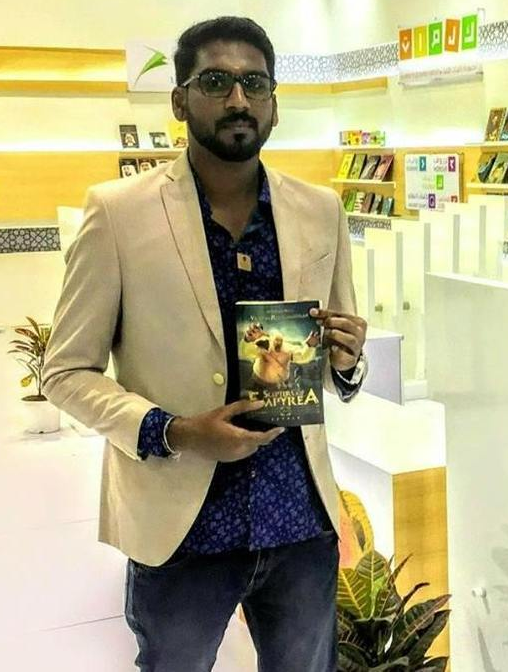 He wrote this debut novel with the storyline which he experienced in his nightmare 7 years ago. How apt is it that I read this book right before I embarked on my fourth A to Z challenge season, 2019! 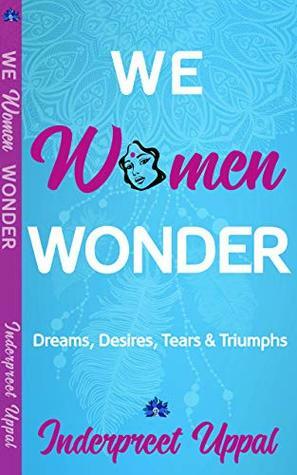 We Women Wonder: 26 Essays, one for each letter of the alphabet, and all of them dealing with the various issues women face, and sometimes push under the carpet of the perfect family. I loved a lot of things about the book, starting from the alliteration in the title. As women, we are doomed in this society to keep wondering a lot, sometimes about who we are and what we do, and making sure that we find the perfect balance between what is expected of us and what we want to do for ourselves. So the title immediately made me grin in understanding and acceptance. Coming to the book, the essays are all about common topics that do not sound preachy or tiring to read. They are short, to the point, and keep stuff simple. If wondering is what we do, Ms. Uppal debunks that in style. She approaches the sensitive topics with practiced ease and her tone is gently persuasive. The book’s simple approach is a huge plus, and it does resort to allusions and comparisons or jargon. The topics are relatable (and spa ecial mention for how the author found the perfect one for the letter X. As a fellow A to Z blogger I know the challenge that presents). My only complaints are the sparse typos and phrasing errors. The pluses are the wonderful quotes in each chapter and the beginning itself. The book is also a light read that does not take a lot of time but leaves a strong impact. 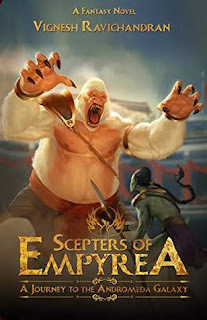 The language could have been better, though, so the essays do not seem like converted blog posts. The writing could have been honed. The cover and blurb are excellent, making the reader sit up and take notice. The colour coordination seems deliberately placed and thoughtful. The typesetting could have been cleaner but is still easy to read on the eyes. Overall, the book is a wonderful inspirational read, quick and thought provoking in the way it is written and presented. We Women Wonder, and this has some answers that unapologetically asks women to learn to choose themselves and their wishes when the situation demands it. No matter what else changes, women do keep wondering and sometimes it is books like these that change the perspective totally. Worth a read!
" Inderpreet writes for her love of writing, edits manuscripts and reads endlessly. An Army brat, she now joins her adorable Army hubby across the country. " Guest Post by Tanushree Ghosh, Author of 'From An-Other Land'. What is the next project that you are working on? I forayed into writing while being a scientist and a techie. So before I had confidence I had written something worth sending out to even my closest of friends, let alone think of publishing, I had to build it. This is why I started with writing short stories, having no idea that short stories or collections, ‘don't sell'. I was educated of this fact about two years into my writing journey – two years too late in my opinion for I couldn't go back and not have these stories that I had. But everyone I approached, barring Jennifer Lyons of Jennifer Lyons Agency who signed me for this collection (unfortunately she had to wind down her services and I had to go a separate route with this, but that's not pertinent to the point here), told me they liked my plots but wished I had a novel. So halfway into trying to get the collection of stories published, I started writing a novel. As fate would have it, the collection ended up finding a publisher and interest (which has a lot to do I believe with its core topic becoming suddenly pertinent in an unfortunate way) and the novel, is now what would qualify as my ‘next project’. The Afterlife of Midnight Seedlings is the tumultuous story of Aru and her mother, Manasi, spanning thirty-five years and two continents. Aru - cast as the lead but often in the shadow of her erratic mother-is a child-woman shaped into being by the often cruel foibles of those around her. She is battling memories of a violent childhood when she meets and falls in love with Maxim Kostylev, a Russian immigrant brought to the states as a child. Aru and Maxim bond over their socialist ideologies and identical struggles, but the very torments that unite them also keep them from being together and Aru marries a fellow engineer on rebound determined to undo all the damage done in her life. But paradise remains lost forever as Aru finds herself in a dysfunctional marriage with an infant daughter and her childhood savior, her uncle Tukun, trapped in a multi-generational, political plot of treachery and deceit. To save herself and Tukun, Aru not only needs to reconcile with her mother and Maxim, but also has to embark on a journey analogous to her mother's, out of which she had seen the later emerge insane: a prospect scarier than hell to a woman who wants nothing more now than to be a mother she herself never had. If I may dare say, comparable to The God of Small Things and The Kite Runner, the novel explores critical questions around roles of women in the society while narrating a complex tale of loyalty, love, and loss. My next job is going to be finding a home for the novel. Tanushree Ghosh works in Tech and has a Doctorate in Chemistry from the Cornell University. She is also a social activist and writer. Her blog posts, op-eds, poems, and stories are an effort to provoke thoughts, especially towards issues concerning women and social justice. 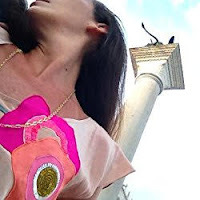 She is a contributor (past and present) to several popular e-zines (incl. The Huffington Post US, The Logical Indian, Youth Ki Awaaz, Tribune India, Women’s Web, and Cafe Dissensus). 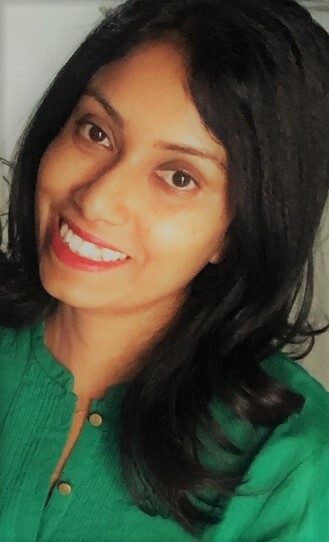 Her literary resume includes poems and stories featured in national and international magazines (Words Pauses and Noises, UK; TUCK, Glimmer Train Honorable mention) as well as inclusion in seven anthologies such as Defiant Dreams (Oprah 2016 reading list placeholder) and The Best Asian Short Stories 2017 (published out of Singapore by Kitaab). Her first single-author book, From An-Other Land, is on immigration. She has held different leadership roles in non-profits (ASHA and AID India) and is the founder and director of Her Rights (www.herrights.website), a 501(3) c non-profit committed to furthering the cause of gender equality. She is often an invited speaker or panelist for both corporate and non-profit endeavors. Never has been the conversation on immigration more pertinent than now, post 2016 US elections. From cancellation of refugee protection and zero tolerance to undercurrent crackdown on H visas to the border wall - the resurgence of nationalism is hitting the globalized population head-on. But what is immigration today? A question of life or death - fleeing of persecution? A compulsion? Or a mere pursuance of privilege? And what is the US today? A land of opportunities? Or a quagmire impossible to comprehend, inherently racist and selfish? 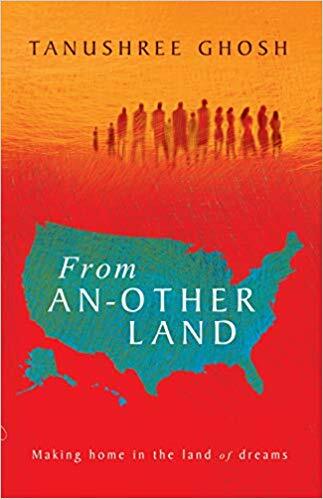 From An-Other Land dives deep into immigration today for the diaspora and its many facets with characters who seek to define themselves in an intercultural setting that is less and less sure of itself. A reality check and a guide for anyone who wants to understand the modern-day US. To read reviews, please follow Tanushree Ghosh's page on iRead Book Tours.